The hunters and trappers of Destination America's "Mountain Monsters" are trekking back into the Appalachians for a second season, and the Hellhound, Yahoo, Fire Dragon, and Hogzilla better watch out! The Appalachian Investigators of Mysterious Sightings (AIMS) and their leader John “Trapper” Tice will investigate, track, and attempt to trap these evasive creatures in 14 all-new episodes with the second season premiere on Friday, April 4 at 10 p.m. ET on Destination America. The freshman season of the show was a hit and viewers can catch up on the first season starting Friday, March 21 at 9 p.m. ET and 10 p.m. ET with "Mountain Monsters: Uncaged," offering a look back at AIMS’ earlier adventures with new footage and behind the scenes extras. 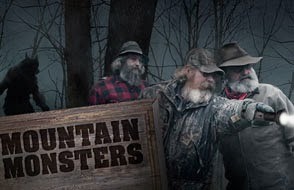 Also, new for the second season, Destination America brings viewers "Mountain Monsters: Behind the Hunt" after show exclusively on DestinationAmerica.com. Fans can "go behind the scenes of each episode with Trapper and the gang as they answer questions about the monsters, their most terrifying moments on the hunt, and what goes on when the cameras aren’t rolling." Decades of folklore and eyewitness encounters collide as AIMS travels to Pike County to investigate the Kentucky Hellhound. First spotted in 1939 in the western heart of Hatfield and McCoy territory, and originally written off as the delusion of backwoods moonshiners, this enormous 500-pound canine predator is in fact alive and well, menacing the local farming community. AIMS must act fast to capture the creature in a huge bamboo cage trap before the cornstalks are harvested and the Hellhound migrates for the winter season. After obtaining a video of a strange and gigantic creature, AIMS travels east to Grafton, W.V., to investigate the Grafton Monster. This tiny town, once an epicenter of early American railroad transit, has been terrorized since the 1960s by a horrifying creature known to the locals as “The Headless Horror.” Standing almost ten-feet tall and tipping the scales at more than half a ton, this beast carries its head just above its chest and has a reputation for intimidation that spans the hollers of Taylor County. The mountain investigators have their hands full as they witness this predator’s vicious nature firsthand and construct their largest trap to date. With 14 episodes there must be many more monsters! 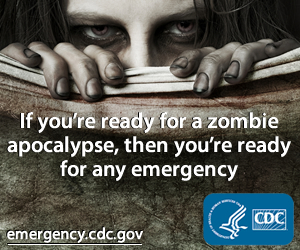 They include: the Yahoo of Nicholas County (WV); Werewolf of Webster County (WV); Fire Dragon of Pocahontas County (WV); Sheepsquatch of Boone County (WV); Shadow Creature of Braxton County (WV); Hogzilla of Hocking Hills (OH); Death Cat of Cherokee County (GA); Bear Beast of Raleigh County (WV); Snallygaster of Preston County (WV); Cave Creature of Greenbrier County (WV); and, Bloodless Howler of Harrison County (WV).